Join a community of 900+ attendings, residents and physician spouses who are conquering their finances every. single. day. 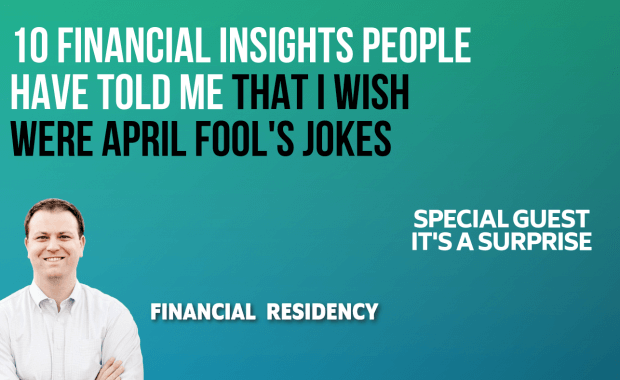 Financial Residency prides itself on providing free resources to our community. To supplement our podcast, we have some amazing e-books and bonus extras! Be sure to check them out by subscribing below! Saturated with student debt? Ready to find a repayment solution that works for you? The Student Loan Guidebook is intended to bring you the best recommendations we could offer. You deserve to live without the student debt boulder on your shoulder. So don't. Residency is difficult, but purchasing a home during that phase of your life doesn't have to be. Physicians have special privileges when it comes to getting the best offers and rates from lenders. Why do you think that is? Let's find out. You are at that point where you’re ready for a change. Completely redesign your financial life by walking these 7 steps. Want to increase your financial knowledge? Listen to the latest shows below. Ready to dominate your finances? Read the most recent articles below. Disability Insurance Riders and Features: Which Ones Make Sense for Physicians? Finance vidoes that won't put you to sleep.